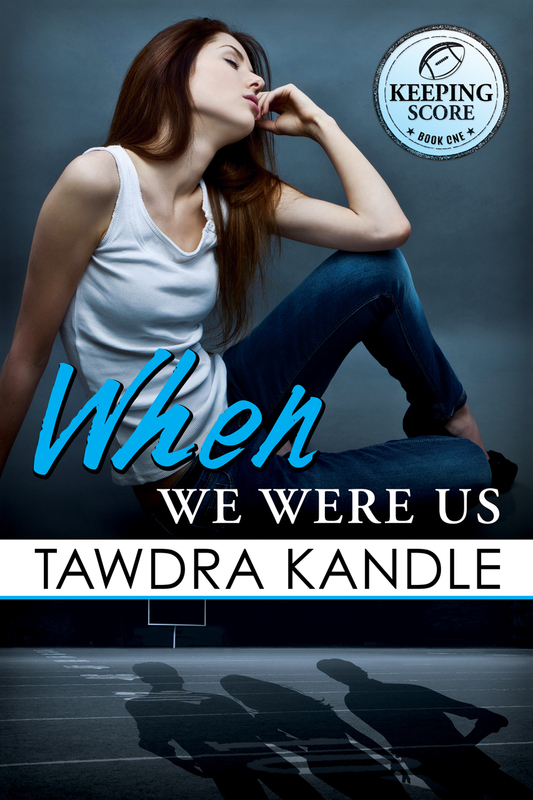 When We Were Us (Keeping Score Book 1) releases on April 7th! I can’t wait. I think you’re going to love Leo and Nate and Quinn as much as I do. But it’s Tuesday, so let’s have a little teaser, shall we? Remember, if you want to read a full chapter of the book, you can download it for free here! “Quinn, what was that all about?” He repeated himself, frowning, and let go of my hand. I felt immediately bereft. His forehead creased, and I realized I was talking crap about girls who were probably his friends now. Maybe more than friends. God only knew what he’d done with some of them; I’d heard stories about football parties. I only hoped he hadn’t hooked up with Trish. I could handle anything but that. Now annoyance flared, almost overshadowing the want surging through my veins. It was typical Leo these days; he’d never assume I was blameless. It had to be me who’d written something wrong. Pain sliced through me. Leo rarely used his special nickname for me anymore, and hearing him say it—his voice husky—reminded me of how far apart we’d drifted. And now he was giving me advice on finding friends? What kind of loser did he think I was? “Thanks. I didn’t know I needed help making friends. I used to have some really good ones.” The words were laced with sarcasm. The truth was right there in his voice. I was an embarrassment to him. Poor Quinn, the too-tall girl who just couldn’t seem to find her own circle. The girl who reminded Leo of a part of him he’d turned his back on when football and popularity became more important. The impact of what he was saying hurt, and I lashed out in response. “The people I’d want for my friends wouldn’t expect me to be a phony. They would accept me for who I am.” I leaned forward a little, just to make sure he heard me. “You don’t think I do?” Leo looked stricken, as though what I’d said was some huge revelation. Anger bubbled up inside me. I was sick of the whole thing. Sick of mooning after this boy, sick of the pain of losing my best friend. Sick of him pretending nothing had changed, when everyone else in the world knew that it had. I took another step back and spoke in a low voice. Five From . . . You!